Group B Streptococcus, also known as GBS or Strep B infection, is a normally occurring bacterium. For the majority of those with the bacteria in their bodies it poses no risk. However, GBS can cause infection, most commonly in newborn babies, which can lead to disability or even death. A GBS Support Group has started a petition for there to be routine screening for Strep B infection in late pregnancy to minimise the risk of infection in their newborn babies. If a pregnant woman is carrying GBS then there is a risk it will be passed on to the baby during childbirth. Whilst rare, Strep B infection in newborns can be fatal or lead to significant and lifelong disability. If it is known that a pregnant woman is carrying GBS then simple measures can be adopted during the delivery which would significantly reduce the chance of the newborn baby acquiring the infection. This is usually in the form of IV antibiotics during delivery, or antibiotics being given to the newborn following delivery. Currently, the Royal College of Obstetricians and Gynaecologists (RCOG) guidance suggests testing and treatment only in the presence of certain risk factors. Unfortunately, the GBS bacterium produces no symptoms in the carrier and so by the time it has been identified it may be too late. The Group B Strep Support Group has started a petition for there to be routine screening of all pregnant women nearing the end of their pregnancy. 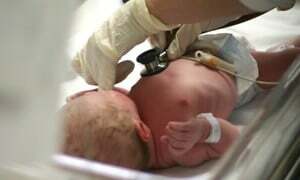 The number of GBS infections in newborns continues to rise in the UK, whereas evidence suggests that in counties which have introduced routine screening, such as the USA, France, Australia and Spain, the number of newborns with the infection have clearly reduced since the routine screening was introduced. Group B Strep Support also wants to see IV antibiotics offered during labour to all women who have identified risk factors, a more inclusive approach than is currently in place. The Department of Health reviewed the potential for routine screening in 2012 and concluded that the potential harm involved, such as mothers having potentially unnecessary antibiotics, outweighed the benefits and the relatively low risk of contracting the infection. Given the potentially catastrophic injuries that a baby can suffer if the infection is not adequately treatment, many believe that this decision is wrong. The Clinical Negligence Team are involved in a cerebral palsy claim concerning a young child who suffered meningitis as a result of an undiagnosed GBS infection at birth. The family are preparing to sue the hospital for negligently failing to recognise the risk factors which strongly indicated the presence of GBS in the mother and the newborn and treating them accordingly. Our experienced cerebral palsy solicitors will represent the family to recover compensation to ensure that the child has care throughout his life and is fully compensated for his injuries, which were caused by the hospital negligence in failing to diagnose the infection. It is hoped that the Group B Strep Support petition will help to encourage the Government to introduce a national screening scheme, as well as to raise awareness of the issue.